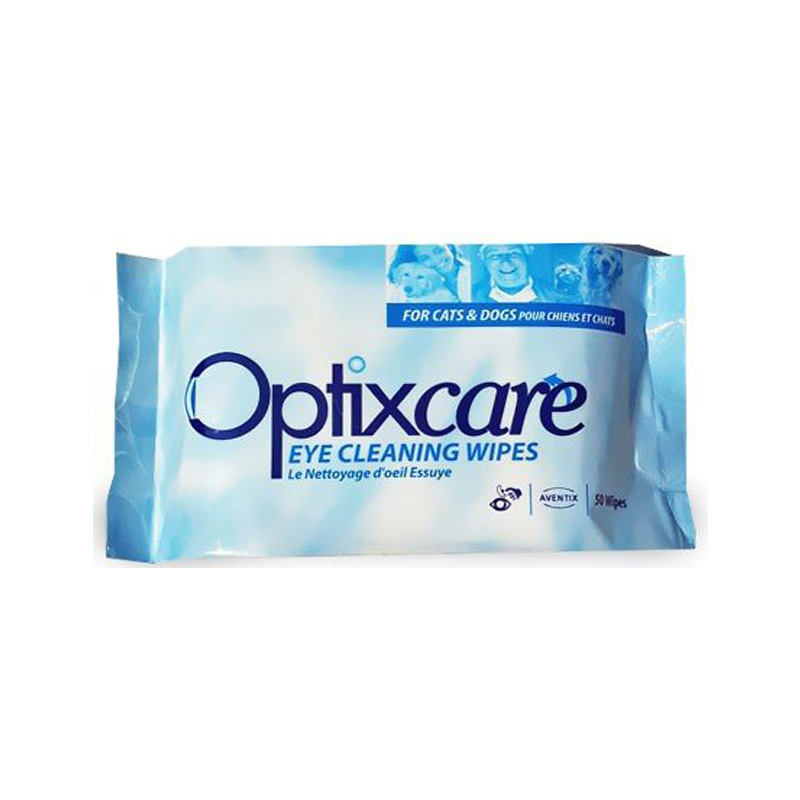 Optixcare Eye Wipes are moist wipes that can be used to clean the eyes of dogs, cats and horses. They are ideal for removing light stains and debris or secretions from the eyes and surrounding area. These convenient wipes are completely safe to use around the eye and lint free. Each pack contains 50 soft, cloth wipes, saturated with soothing Eye Cleaning Solution. Warnings - For topical animal use only. Ingredients - Sterile water, PEG 80, polysorbate 80, hyaluron, sodium citrate, disodium EDTA, sodium chloride, sodium perborate, chamomilla recuitita.